Centrally home with small garden. House is located in a cul-de-sac so very quiet and 10 min walk from supermarkets and some restaurants and very good public transport. 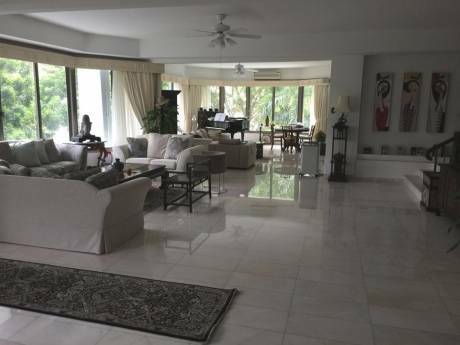 Lovely 70's built home with good proportions with Singapore charm. 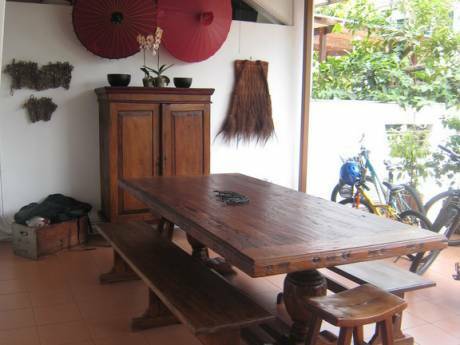 Lovely tropical garden with large wooden table with overhead fan for sitting out for the evening meal. Very good space inside the house and all necessary amenities. Aircons throughout plus ceiling fans. 2 queen size bed, a cot and two single bed with a trundle underneath. 3 bathrooms and a helper room out the back. Helper avail to assist with cleaning if required. We have 2 TV's and DVD players plus sons speaker for music. 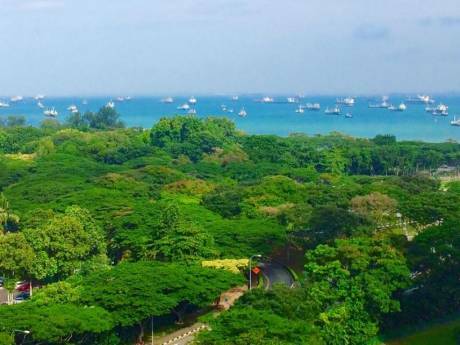 We are 10 mins by taxi (taxi's are cheap) to Orchard Road, 5 or so mins to the Botanical Gardens and very centrally located for all tourist sites. We are an Australian family living as expats in Singapore. We have been here for 2 and a half years and we have lived in this house the whole time. We have three daughters 8, 6 and 3. One was born in Texas, one in Perth and the other in Malaysia. I am a physiotherapist and my husband work in the oil industry. We love to travel and we are very used to travelling lightly. We love to visit our family in Melbourne and Perth but we also love to travel to Europe and the US. Lovely quiet central area. Extremely safe and lovely area to walk around on foot to see some grand homes of the locals in Singapore.